SAUCE DISPENSERS There are 2 products. 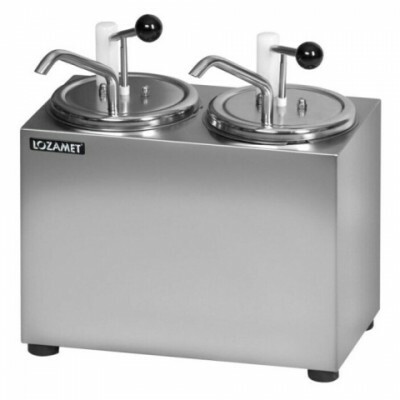 We sell stainless steel sauce dispensers with pumps. 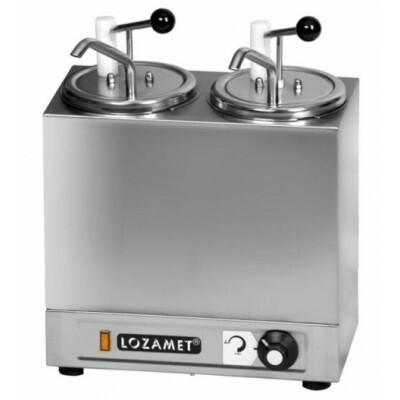 Dispensers are equipped with two 5 litres easy removable containers supplied additionally with lids as well as pumps. Perfect for ketchup, BBQ sauce, brown sauce. Adjustable pump for portion control. Supplied with lids and 2 pumps. Each container have 3.2 litre capacity.